Wave accounting software was specially designed for small businesses. It was built with the small business structure in mind. A small business is mainly at a “figuring out” stage and bookkeeping is not a natural talent or profession for every small business owner. Because many small firms start from humble beginnings, finding an accountant would not only be expensive but also a trial and error type of employment. And so Wave came up with a solution that has and is still benefiting many small organizations. The Wave accounting software is almost free except for the additional payroll charges. It features almost all the services you can get from a financial & accounting application but also helps you do most of the work. It doesn’t need one to have an MBA or any accounting education. The most clueless novice can learn how to work with it in a really short time. Wave is free when providing features like accounting, invoicing and receipt scanning. It charges a small fee for payroll processing per employee and also built-in credit card processing. 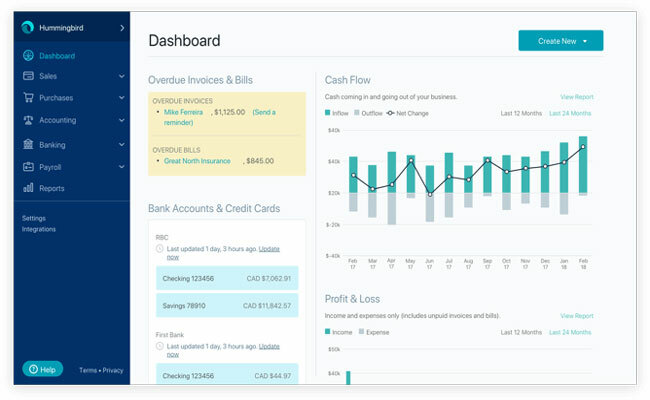 Wave accounting software is web hosted and can be accessed by both computer and mobile devices. It doesn’t need any downloading or installation processes. It is supported by Mac, Windows and also Linux. It can also be accessed through mobile devices of both android and IOS versions. It is cloud based and supports only English language. This software was built to suit the small business owner. This could be a start-up company that has a few employees or a freelancer managing a solo business. This software doesn’t need you to have an in-house bookkeeper. A novice business owner will be able to navigate through it effortlessly and without the hassle of following up on employee tax. It is meant to provide small businesses with a low cost, professional and efficient way of sending invoices tracing financial operations. When you compare Wave with its counterparts, it is far ahead of them due to the numerous features it provides its users. Some are even charged in paid accounting software. The following are some of the main features you’ll find in Wave software. Invoicing – Wave provides professional templates that can be customized with logos and colors. It includes a lot of customization features like columns, headings and also facilitates viewing of status. You can know if the customer has seen the invoices or the estimates. Payroll – Wave enables direct deposit and employee self-service. The payroll module also features budgeting tool, and other personal finance management tools like real-time investment tracking. 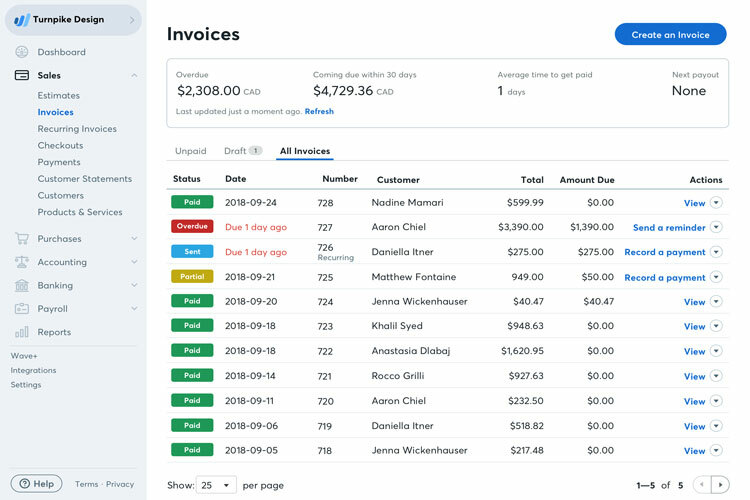 Receipts – You can email receipts to wave so they can organize them or you can deal with them by yourself on the platform. Record Keeping – You are able to keep records yearly and they take care of it for you to check your progress so far. Integrations – You can integrate various payment modes including PayPal to facilitate payments and also get reports and receipts of real time transactions. Lending – This is by far one of their best features. The small businesses can request loans within the software. Because they have all the financial details, managing a loan is much easier. Reports – Wave keeps on increasing types of reports they can handle. Balance sheets, income reports, tax reports and other important accounting reports are provided by Wave. They are improving every day. The site is well organized with minimized jargon because it isn’t necessarily built for accounting savvy users. A novice will be able to navigate freely due to the well-arranged dashboard entailing actions explicitly. As for the speed, the site is pretty slow and hence could be improved. Generally, the user experience with the design is great but with the overall uptime, it can be annoying. 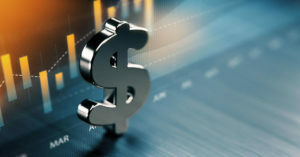 Due to the delicacy of accounting processes, accounting software users like convenient customer support so that payments cannot be inconvenienced. Wave provides phone support to issues like lending, payroll and credit card processing. All the other issues can be dealt with through email. They enabled this system after users complained when calls were paid for by only premium members. They decided to maintain free calls of time-sensitive issues and emails for others. Both means of communication are super-fast in response from the team. 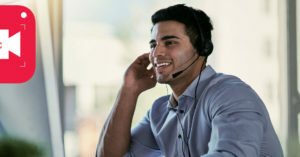 Apart from the direct customer care support, there are numerous materials where Wave team answers questions, create articles and other helpful content in order to cover many misunderstandings. They provide helpful content through their help center, YouTube, Wave university, blog and social media. Wave’s software uses a complex data encryption and also store data in their database which is secured physically and also virtually monitored 24/7. Their site provides read-only versions of checking personal and bank information. -Easy to use even for a novice. -Great income and expense tracking. Wave is a reliable and efficient accounting software. Apart from their site speed problem, their services are more than worth the price. Compared to its counterparts and even some paid alternatives, Wave has done a lot work to make the user happy. Many users use Wave software instead of similar accounting software such as QuickBooks, Zoho Books, Zero, FreshBooks and so on. The best part is they narrowed down their niche to small business owners which makes their focus on being a better accounting software provider every day.